The Catering by Jonathan Byrd’s team hosts many events for non-profit and community organizations throughout the year at the 502 East Event Centre, but none of them touches our hearts like Janus does. Janus is a group that provides education, job training, and skill development to disabled adults to give them the opportunity to contribute within the community. Programs within Janus help these adults with job training, education, and independent living. Since 1979, Janus services have provided individuals the opportunity to hold jobs, develop interpersonal skills, explore new interests and live more independent and fulfilled lives. These disabled adults are referred to as “clients,” and there is really no limit to what they can do. What makes Janus fun for clients is the variety of training and activities they can be a part of. Job training is not limited to one job. Clients can work together in a factory setting constructing aquarium tank lids, performing various duties at the Janus Golf and Batting Center, creating paintings and birdhouses through the hidden talents program, working in the Capabilities Café located at the Hamilton County Courthouse, or participate in the culinary team preparing and serving food at Janus’ regular community luncheons. These latter programs teach clients about food preparation, food safety, customer service, and money handling. Coral is the pantone color of 2019. Coral is one of those colors that isn’t quite orange and isn’t quite pink, but it pairs well with a variety of other colors. Coral and Pink or Coral and Orange can give your wedding the look of a real sunset. “Bridal Beauty is going back to a classic feel. You’ll start to see brides embracing a natural look but give it a modern touch with a bold color like coral,” said Taylor. 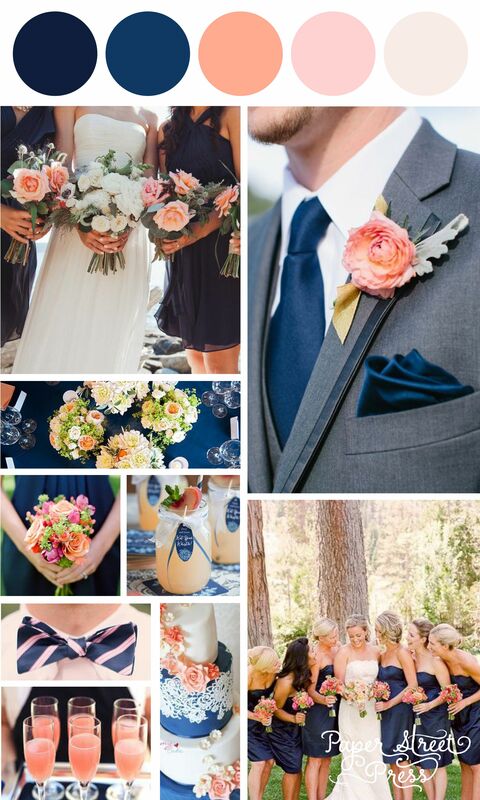 Other color combination possibilities are Coral with Navy. Then, there’s always the “regal/royal” combination of Coral and Gold. Coral, Mint, and White can be bold and modern, & Coral, Green, and Beige can be more natural and rustic. Indianapolis is a booming city that continues to grow each day. With major tech companies locating to the Hoosier state and new small businesses starting all the time, how do all these businesses connect with other? Within the city are a plethora of networking groups which are divided based on age, gender, location, and industry. And while joining these smaller groups is helpful, you can sometimes find yourself trapped in a bubble. You might find that you’re not reaching your target consumer – only your competition, or maybe your networking group just doesn’t have an outside perspective. That’s where Accelerent comes in. Accelerent is a national business development platform that connects local business leaders to each other. It is not a networking group because Accelerent invites only one business from each industry to participate and connects the decision makers from each industry to each other and encourages them to build relationships with each other, enough to trust referring each other to relationships that could potentially use their services. There are branches located in 5 cities across the country, and its branch in Indianapolis boasts over 55 partnered businesses. Jonathan Byrd’s and 502 East Event Centre are proud to be a part of such an innovative organization. For the last three years, 502 East Event Centre has hosted 5 breakfast events each year for Accelerent. Members from various businesses come and eat a breakfast freshly-made by the culinary team at Jonathan Byrd’s. Each breakfast features a guest speaker and about 300+ business leaders attend. October weather in Central Indiana can be hard to predict. One minute its sunny, the next its windy and rainy. Like the weather, Jonathan Byrd’s transitions fast between events as well. Whether it’s a small catering to a big wedding or transitioning from a large conference into multiple meetings, at Catering by Jonathan Byrd’s and 502 East Event Centre, we’re ready for anything our guests (or the weather) throws at us. Continue reading to see some of the events we hosted and catered at this October. Missy and Travis gathered at 502 in front of all their friends and family. Not just their human family, but their four-legged one as well. Bridesmaids walked down the aisle with the couple’s 3 dogs. Missy and Travis took pictures at the nearby Center for the Performing Arts and then had their ceremony and reception at 502! Congratulations to the beautiful couple! The arrival of August marks not only the closing of summer, but also the countdown to the end of the year. Our August started out hot with lots of big weddings and corporate events, but now, as we say good-bye to summer, we’re gearing up for our busy wedding and holiday season. Keep scrolling to see the best of our events this summer and see what we’re excited about coming up! Congratulations to Anica and Chris! This adorable couple had their wedding and reception at the Center for the Performing Arts in Carmel and Jonathan Byrd’s was honored to cater their beautiful celebration. Love was clearly in the air for these two as they were surrounded by balloons, flowers, and family! Guests munched on some pretty amazing chicken and waffles made fresh on site by our incredible chefs. While guests cut the cake, there was an artist capturing the scene in watercolor. Congratulations to this beautiful couple!